For Fouad Zeton, a former boxer who came to New Orleans from Syria, the death of his son was the hardest punch he's ever taken. NEW ORLEANS -- Fouad Zeton, a bear of a man and former professional boxer is devastated by the loss of his son Fouad Jr.
"God bless your soul," Zeton said about his son. "God bless your heart son. I'm going to miss you. I'm going to miss you so much." Zeton received a phone call early Thursday morning telling him his 31-year-old son had died at University Medical Center in New Orleans. 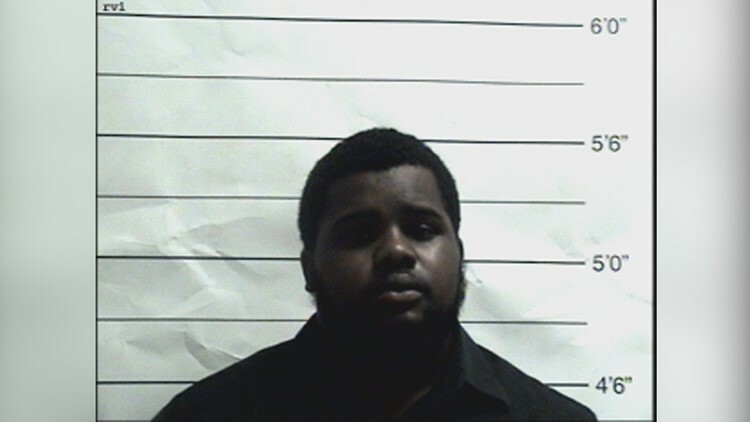 Police arrested James Nero, 21, and charged him with Fouad Jr's murder. Zeton says his son went to the Attiki Bar & Grill in the 200 block of Decatur Street where he used to work to meet up with friends. At some point, he got into an argument with Nero, a friend and former co-worker. "We get angry at one another, sometime in life," Zeton said. "We don't go get a gun and kill each other. That was not a solution to kill my son." Police say Nero went to his vehicle, got a gun, then shot Fouad Jr two times. Zeton-family friend and attorney David Courcelle said a second person may have been involved in the shooting. "Apparently, he did retrieve a gun, perhaps there was another person involved that handed him the gun which again, led to this unbelievably senseless murder," Courcelle said. Courcelle added, to see his friend in pain like this is heartbreaking. "We're going to move forward from this. We're going to seek justice for Fouad," Courcelle said. Zeton said it's still hard to believe how his son died. "It's not like armed robbery," Zeton said. "It's not like it's a drug. It's a misunderstanding with his friend and his friend go get a gun and shoot. They were supposed to be friends." Zeton was supposed to have dinner with his son the night he was killed, but his son called to cancel. He said his son ended the phone call, thanking him for being a good dad. "He said ‘I love you Papa,’" Zeton said. "He called me Papa. He said thank you Daddy." The former boxer, and one-time Evander Holyfield sparring partner, who came to New Orleans from Syria 40 years ago, admits his son's death is the toughest punch he's ever received in his life. "My friend, I don't want you to feel my feeling and what I feel to make arrangements to bury your son and put him under the ground for no reason, he got shot for no reason," Zeton said. Fouad Zeton, who owns the Magnolia Mansion Guest Home in New Orleans, is a major political donor in the city. He said Mayor LaToya Cantrell was one of the first people to call him after his son was killed. A spokesman for the mayor said, "The Mayor offered her condolences privately to Mr. Zeton. As with all cases of violent crime, the Mayor is working actively with our police officers to see to it that justice is done." Fouad Zeton Jr. will be buried at Lakelawn Cemetery on Monday morning.